The Commonwealth refers to the period in the post-Civil War period when England was ruled without a King. Charles I was executed in 1649 and England for the first time since before Alfred the Great was without a King. The next 11 years saw a variety of systems of government experimented with. However, Parliament was discredited by its inability to establish a stable political settlement or tackle urgent reforms. 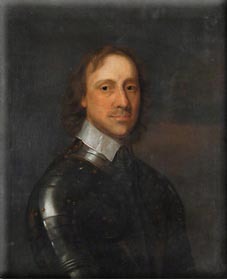 Oliver Cromwell dismissed Parliament in 1653 and took the title of Lord Protector. 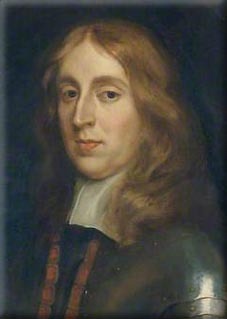 Oliver Cromwell and the Commonwealth did try and export the power of English Protestantism in Ireland and Scotland. He also took his ideals to the colonies where it was assumed that many Royalists had fled or where they still felt attached to the old regime. He also took on the Dutch who he felt had taken commercial advantage of the Civil Wars in usurping much of the trade of the colonies. He also took on England's old adversary, Spain, as he tried to restrict the Catholic power's influence in the New World and beyond. In short, despite only being in operation for 11 years, this period had a very busy foreign policy which impacted particularly greatly in England's colonial sphere. The military were particularly dominant politically during this period and so were able to channel resources and political will into these escapades, wars and adventures. The military was actually more successful overseas than it was in playing the political game and remaining politically relevant back in England. The Commonwealth and Cromwell proved themselves quite adept at waging war - but this did have domestic consequences that were not entirely fortuitous to the regime. Besides, the military proved an insatiable institution that demanded more and more resources for itself which the people of England were expected to pay for. The military soon found itself out of favour with many who had previously supported it. Attempts to have Richard take over from Oliver Cromwell fell foul of the loyalty of the army. It would not be too long before feelers were put out to Charles II to return to England as a stabilising factor and so end the short lived period of the Commonwealth.